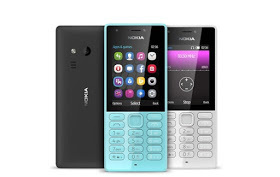 I was amazed when I heard the announcement of this newly launched Nokia Phone despite the facts that the software giant had earlier announced to sell its feature phone business to FIH Mobile, a subsidiary of Foxconn, for $350 million earlier this year. Spec wise, Nokia 216 is equipped with a 2.4-inch color LCD of 320 x 240px resolution., with 0.3-megapixel cameras at the front and rear, running on the Series 30 OS with the Opera mini browser, 16MB of RAM onboard. In terms of connectivity, it has 2G GSM in the 900MHz and 1800MHz spectrums, Bluetooth 3.0 and no Wi-Fi. You do get a stereo FM radio receiver, 3.5mm headphone jack, and a micro-USB 1.1 port. And it comes with a removable battery of 1,020mAh. 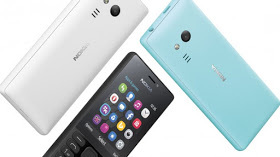 In such a time like this when the whole world is anticipating the release of Nokia Android, and monster smartphones, they are busy unleashing feature phones…I doubt if Nokia have an idea where the smartphone business is heading too.